Turkey has recently moved to block access to Dropbox and Microsoft OneDrive and put partial restrictions on Google Drive cloud. These restrictions come as a reaction to leaked emails from Beratt Albayrak, the Minister of Energy and Natural Resources, by the hacking group Redhack. Turkish President Recep Tayyip Erdoğan has been on a warpath against the internet and personal freedoms since a failed coup against his government in July 2016. In that great push for greater authority, and by extension, fewer citizens’ rights, Erdoğan has used the failed coup for one reason or another. This may prove to be just another move to gain greater control of people’s ability to share information without his government’s approval. Drobox, OneDrive and Google Drive are popular cloud file sharing services used on desktop and mobile platforms in many different fields: education, legal and press, business, and personal. The sudden shutdown affected many regular and business people who store their most important information on the cloud to avoid losing them or having them compromised. According to TurkeyBlocks.org, both Google Drive and Dropbox were issuing SSL errors. That means that the Turkish government is actively working to intercept traffic at the national or ISP level, compromising the very safety that users were hoping to achieve with cloud storage. The following day, the Open Source developer portal Github was also blocked as Erdoğan’s government tries to stop the flow of the leaked emails. No one knows what will happen next, and Turkey’s privacy-minded communities are waiting on Erdoğan’s next move. For those in Turkey with crucial information on Dropbox, Microsoft OneDrive and Google Drive, and who need to use Github, NordVPN is offering its Emergency VPN Assistance. Emergency VPN Assistance is an important and practical temporary solution to Turkey’s block against cloud storage. It offers users immediate 5-day VPN premium services for free to users in those countries experiencing threats to their digital information or in physical danger. Remember, a VPN can help alleviate the situation by creating a secure, encrypted connection to a server in a location of the user’s choosing. All communications will then flow through that server to the user’s computer. So, for example, if a user is located in Turkey, he can connect to a VPN server in Germany or the United States (or anywhere he wants). Using Double VPN servers, all information is then encrypted (not once, but twice), preventing snoopers from reading the encrypted communications. Even better, NordVPN can’t be forced to reveal logs about you since it has a Strict No Logs Policy, which means no logs or communications are recorded by NordVPN. 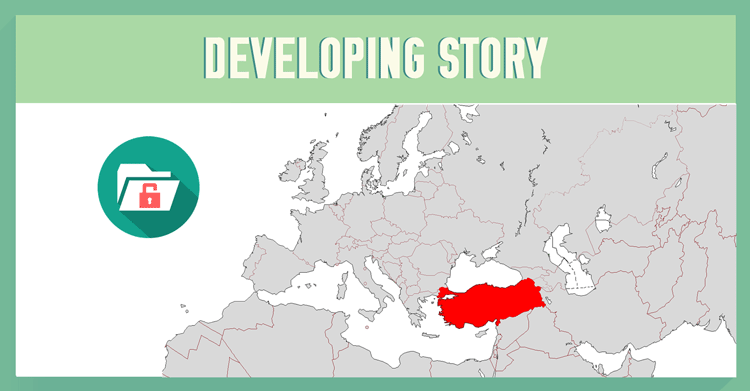 After the secure connection is established, the user in Turkey will be connected to the US server and all information will seem to be going through the US rather than Turkey. That means that Turkish users will be able to use Google Drive, Dropbox, OneDrive and any site or service it wants as those are not restricted in the US. The user can then download all his important files from the cloud or continue to use the blocked services as before. In order to get the free, 5-day premium Emergency VPN Assistance, simply follow this link and enter your email address. You will be registered to receive emergency VPN access. NordVPN is actively watching the situation, so tune in regularly for more information. Users in Turkey: have you seen any other cloud storage services shut down, or other major portals? Let us know in the comments below!